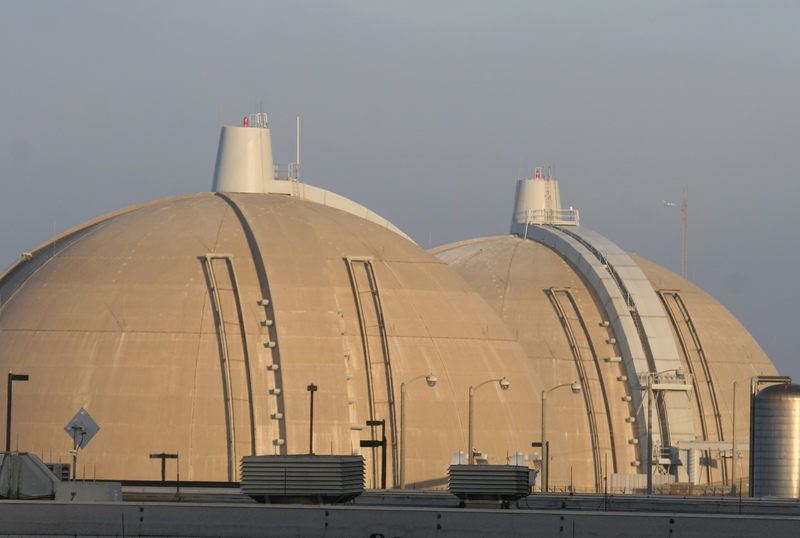 As the federal legislature works through bills that would allow for interim storage of San Onofre Nuclear Generating Station’s spent nuclear fuel, local powers are urging representatives to pass the amendments. Two bills, H.R. 3643 and S. 854, would amend the Nuclear Waste Policy Act of 1982 to allow for interim storage of high levels of radioactive waste and spent nuclear fuel until the Department of Energy finds a permanent solution for it. The interim storage would have to be approved by permit with the Nuclear Regulatory Commission. H.R. 4745 recently was introduced and sent to a House Committee, but it is unknown how far the bill will progress this year. During the March 24 Community Engagement Panel meeting in Oceanside, panel members said they have been working to gather local support for the bills, which could remove the fuel off the coastal location by 2022. City Councilman Carlos Olvera is Dana Point’s representative on the panel. “The Department of Energy, the office that is running (newly scheduled) meetings, is now geared up and doing what they can within the limits of federal law to help promote the citing of two or more interim storage facilities,” said David Victor, chairman of the CEP Victor. As SCE leases the land from the U.S. Navy as well as the California State Lands Commission, the decommissioning process will have to go through the California Environmental Quality Act and the federal National Environmental Policy Act environmental impact reports. The report from the federal government could take until 2020 or longer to be completed, Anabtawi said. A workshop on the Wheeler North Reef, off the San Clemente coast, will be held from 1:30 p.m. to 3:30 p.m. on Monday, April 4, at the Ocean Institute’s Samueli Conference Center, 24200 Dana Point Harbor Drive in Dana Point. The artificially-created reef is part of a mitigation agreement between the stakeholders of SONGS and the California Coastal Commission.